ICMAI is earlier known as ICWAI exam, which was related to accounts and mathematics in general. ICWAI or Institute of cost and work accountants of India conducts exams on a year to provide competitive individuals to the market in the field of accounts. 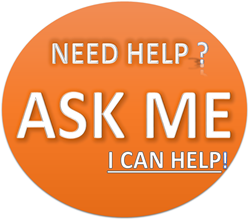 ICMAI has a great demand in multi-national companies to handle accounts on a regular basis. ICMAI candidates are equally efficient to CA candidates. The ICMAI candidates take a long time to finish the exam, and the opportunities are widely available both in India and abroad. ICMAI exam conducts three different levels, as it helps them study one stage after the other. People who have completed the second stage would be eligible to get a good package job both in India and abroad. A candidate, who has finished ICMAI 3rd stage, would be invited to join reputed companies for good packages. ICMAI exams are done to define the knowledge on accountancy and mathematics. The exam is conducted in three different stages, where the second stage exam can be taken directly for graduates. The ICMAI exams are usually conducted for commerce students, who are eager to complete a reputed exam in the accounts field. ICMAI foundation course would be having basic questions related to accountancy and mathematics. The foundation is an important exam, which acts as a qualifying exam to take the intermediate level of the course. 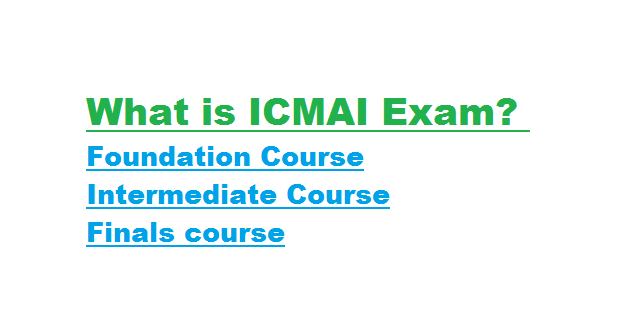 The ICMAI foundation course can be avoided if you have completed a graduation, but most of the graduates prefer to take up foundation course, as it gives you a good idea about the exam and the subject in detail. ICMAI Foundation course would be in need of a 12th standard certificate, and most of the BCOM pursuers would be opting to finish ICMAI foundation course. ICMAI foundation course is like a CA foundation, where CA covers only accountancy and ICMAI covers both accountancy and mathematics. ICMAI Intermediate course is one of the important levels to get both good package employments and to reach finals of the course. ICMAI secondary course can be taken directly for a graduate, or the candidate should have passed the ICMAI foundation course effectively. ICMAI intermediate course is usually done by most of the accountancy admirers, as the course can give enough amount of information and knowledge like chartered accountancy intermediate course. It is a proven fact that most of the students take at least 1 – 2 years to complete the intermediate course after completing ICMAI foundation course effectively. ICMAI finals are the final stage of the course, which determines your capability and eligibilities in term so of accountancy and mathematics. ICMAI Final passed out students attracts a lot of job opportunities, as the students would have worked hard and only knowledgeable students can make it out of ICMAI in a short span of time. ICMAI final students are required both in India and abroad, as they would be good with number and are eligible to solve any account reacted problem by using numbers. ICMAI is a competition examination for commerce graduates, as it acts as a jewel in the crown in the resume. ICMAI intermediate students would have a better chance of grabbing a particular job than a general graduate.